Bills fans, it’s almost that time of year again! 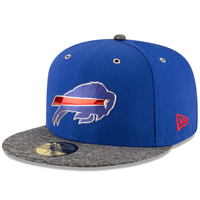 The NFL Draft is around the corner and so is the Bills 2018 Draft Special, presented by New Era. The annual 30-minute special will air on Wednesday, April 25 on WKBW Channel 7 at 7 p.m. and again on MSG at 8 p.m. Throughout the show, fans will watch as Radio Voice of the Bills John Murphy and Bills Wall of Famer Steve Tasker bring you expert analysis and an in-depth look at what to expect throughout the draft. Additionally, fans will hear directly from Bills General Manager Brandon Beane as he shares his thoughts on draft prospects and Buffalo’s plans. Assistant General Manager Joe Schoen and Director of College Scouting Terrance Gray will also give a behind-the-scenes look at how Buffalo’s draft board is put together. For this and much more, make sure you tune in! With the 2016 NFL Draft around the corner, New Era has rolled out the brand’s new draft caps. The caps are complete with several new features including, stylish under visors that are unique to each of the NFL’s 32 clubs and metal eyelets. Additionally, New Era will continue to use their liquid chrome look for each team’s logo. 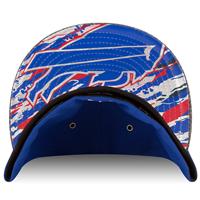 Bills fans wishing to purchase a cap, can visit Buffalo’s page on New Era’s website here. Draft choice value aided by larger player pool? With 100 extra underclassmen in this year’s player pool there is a prevailing thought outside NFL front offices that picks for each of the 32 NFL teams carries added value. While there’s no question that the largest additional pool of talent in the draft’s history has helped in making the 2014 class deeper, the enhanced value of draft choices this year might not be as dramatic as some might believe. Bills GM Doug Whaley, in a one-on-one interview during the Buffalo Bills Draft Special presented by New Era, set to air tonight at 7 pm on WKBW-TV Channel 7 in Buffalo, admits the value of everyone’s draft choices is enhanced to some degree, but doesn’t believe the value of a fourth-round pick would be more like a third-round pick in other years. See the full interview with Whaley, relive EJ Manuel’s 2013 draft experience with Buffalo’s starting QB and watch film of prospects with Bills Director of Player Personnel Jim Monos. It’s all tonight in a one hour special on WKBW-TV Channel 7 at 7 pm. Tis the season for lying through your teeth if you’re an NFL GM with the 2013 NFL draft upon us. Bills GM Buddy Nix laid out the timetable where being misleading is completely acceptable. In an interview on the Bills Draft Special, which will air tonight at 7 pm on WKBW-TV Channel 7, Nix explains that at this point in time NFL GMs and scouts have full license to fabricate their intentions to protect their real plans for the draft from other NFL clubs. 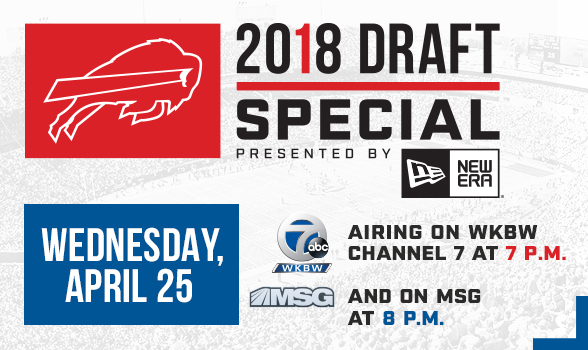 To see the whole interview watch the Bills Draft Special presented by New Era on WKBW-TV Channel 7. First the New Era draft collection was launched in April. Now with training camp less than a month away, New Era has unveiled their sideline collection. Check out what the players and coaches will be wearing on the Bills sideline this fall. 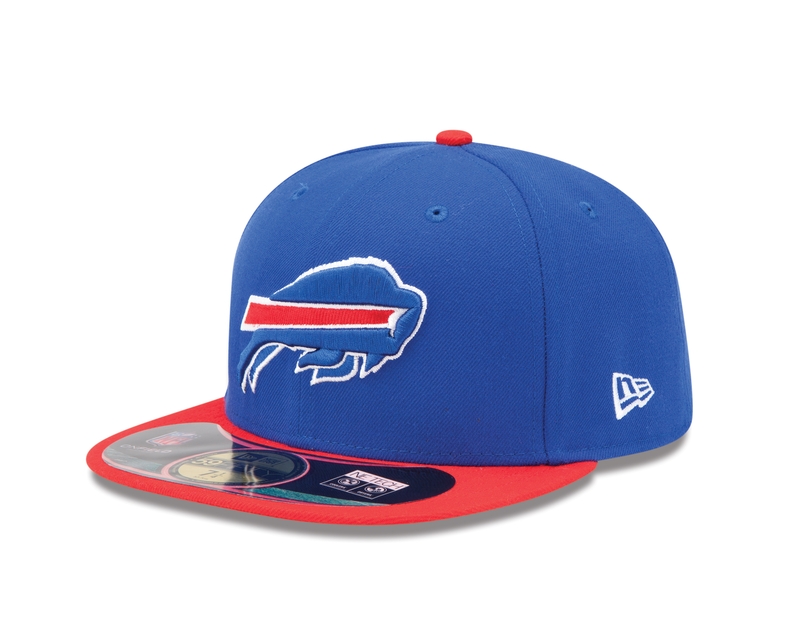 Set for release on July 12th, Bills sideline caps will be in the Bills store at One Bills Drive and other NFL retailers. Here’s a look. Bills DL Marcell Dareus has only played against Tom Brady and the Patriots twice in his young NFL career, but he already has a handle on how in his opinion Brady influences officials. Appearing on SiriusXM NFL Radio with Adam Schein and Rich Gannon, Dareus was asked how you stop Tom Brady with the Patriots poised to play the Giants in the Super Bowl. Dareus gave his opinion while also stating that as a defensive lineman you’ve got to stay cool knowing Brady is going to get some calls. Dareus was in radio row at the Super Bowl in Indy Thursday pumping up his new affiliation with New Era for their new line of hats for the NFL draft, which will be released on April 2nd. A number of Bills players will be making an appearance to meet fans at the New Era store in Toronto on Mon. Oct. 24th. The Bills and New Era will host a meet-and-greet appearance with select Buffalo Bills players WR Stevie Johnson, LB Nick Barnett, RB CJ Spiller, LB Kelvin Sheppard and DT Torell Troup will take photos and sign autographs for invited guests. They’ll be at the New Era Flagship store at 202 Queen Street West in Toronto. The event will take place from 7:00 – 8:30 pm. Guests will also have the opportunity to win autographed team merchandise and tickets to the 2011 Bills Toronto Series game between the Buffalo Bills and Washington Redskins on Sunday, October 30th at 4:05 pm at Rogers Centre. To receive an invite for this contest, fans must message @new_era_caps via twitter and include the #BillsinTOR. Randomly selected fans will receive an invitation to attend this special event. 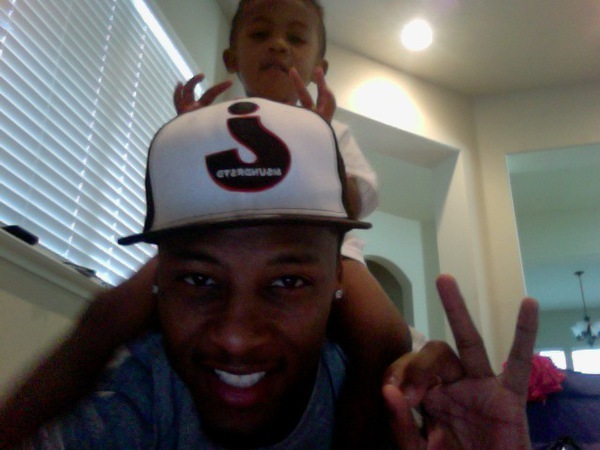 Don’t know if Bills fans caught this, but Stevie Johnson unveiled a hat he designed on his twitter account. Johnson designed the hat with the New Era folks here in Buffalo as part of the company’s 90th anniversary collection. Former teammate Terrell Owens apparently contacted New Era about making caps for him after he saw Stevie’s tweet and twitpic of his finished cap design with paint makers. They only produced four of Stevie’s hats, but here’s the photo (below). For those that can’t read the hat, it says Misunderstood backwards with a letter or two missing on purpose. Marshawn Lynch and Marcus Stroud will be in downtown Buffalo late this afternoon for an autograph signing. Both Bills players will be signing at the New Era flagship store on Delaware Ave. from 5-6pm.